Key Visa Thailand has been the visa advisers for the Pattaya expats club for 11 years now and it is a role that we are very proud of giving free advice to Pattaya expats who reside in Thailand and also foreigners wishing to reside in Thailand in the future, Key Visa Thailand have also been sponsors of the Pattaya Expats club for 11 years helping with financial support as well as the managing director for Key Visa Mr. Darren Mcgarry doing a number of public speeches two or three times per year constantly updating Pattaya residents with visa changes and new regulations and what to be careful of in Thailand. The Pattaya expats club meets every Sunday at the Mecure hotel on Soi 15 off second road Pattaya and the meeting starts at 11.00 am their is also lawyers giving free advice, free blood test, Thailand insurance companies, nutrition experts so anyone wishing to reside in Thailand should consider joining because mainly they have over 100 people and expats who are members and guests attending the meetings weekly including Key Visa Thailand’s visa expert Darren Mcgarry giving free advice and there is always somebody who can answer your questions be it anything from needing a plumber to how to get a long stay visa for Thailand so to stay safe in Thailand you should consider joining the club for free information and piece of mind whilst living in the land of smiles and being kept up to date weekly. Key Visa’s role at the Pattaya expats club is to mainly make sure that expats and guests get the best visa advice possible and try to stop you making mistakes as we all know mistakes in Thailand can be very costly and no matter how long you have been in Thailand it is easy to forget a simple task which later comes back to haunt you with a big fine, Key Visa have 14 years experience with long stay visas for Thailand and have daily up to date advice which is why for 11 years we have been the preferred visa advisers for the Pattaya Expats club, we specialize in retirement visas, marriage visas, extensions, Immigration laws and rules in Thailand and it is all free advice and we feel at Key Visa we have built up a reputation second to none and saved the Pattaya expats living in Thailand huge amounts of money making sure they do not make mistakes and certainly are up to date with the daily Immigration changes and feelings. Key Visa can be found in the front foyer of the Mecure hotel were we have our own visa advice desk which is done solely for the Pattaya Expats club and the members and guests wanting free advice no matter how small the question or even if you wish to get a contact in case of future problems or questions that need answering. Key Visa Thailand have also been involved in charity projects which have kindly been supported by the Pattaya Expats club and for this we shall always say thank you and it is a two way respect and also the saying is expats helping expats and this is why the club was founded many years ago which to this day is widely respected and still going strong. Key Visa and also the Pattaya expats club built a visa page for the expats club website which is viewed by 1000′s of people daily and Key Visa constantly give up and coming changes which are added to the website which also gives us credibility and we enjoy the responsibility required. 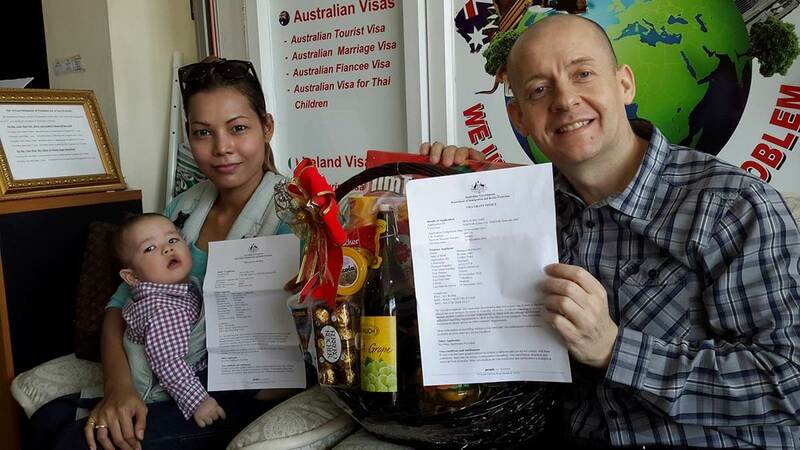 Key Visa Thailand are also known for being reliable news givers writing for numerous tabloids and also radio stations and public speaking which we feel is important as it gives us the opportunity to answers questions to a room full of Pattaya expats and people wishing to reside in the future. So ask yourself a question, you have a foyer full of experts waiting to give free information and a meeting room full of people who can answer the questions you have, they also have a professional speaker weekly talking about numerous topics including health and insurance and visa information. Darren Mcgarry is the leader in the visa field in Thailand and his knowledge is second to none so visit the expats club every Sunday or contact Key Visa Thailand direct.